When I moved to Melbourne for work last year, The Brooding Architect and I moved into a little flat in Brunswick, sight unseen. 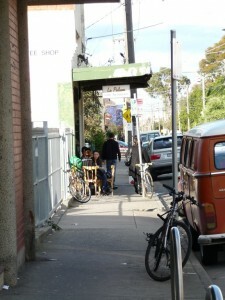 Sure, we had seen plenty of photos of the flat but had no idea of what the suburb was like. To prepare me, The Brooding Architect bought a copy of the early 1990s film, Death in Brunswick – starring Sam Neill as ‘Cookie’ in the worst of the worst greasy spoons. Things did not look promising. Needless to say, I was over the moon on moving day when I saw the variety of food available at my new door step. Everything from baklava to caramelised pork belly to churros. My Saturday ritual now consists of an early(ish) morning coffee at one of my local cafes, followed by hauling my grandma trolley up to the Mediterranean Wholesalers to stock up on ridiculously cheap olive oil, canned tomatoes, fresh pasta and Italian wines. Last Saturday, I eased into the weekend at my Argentinean favorite, La Paloma. 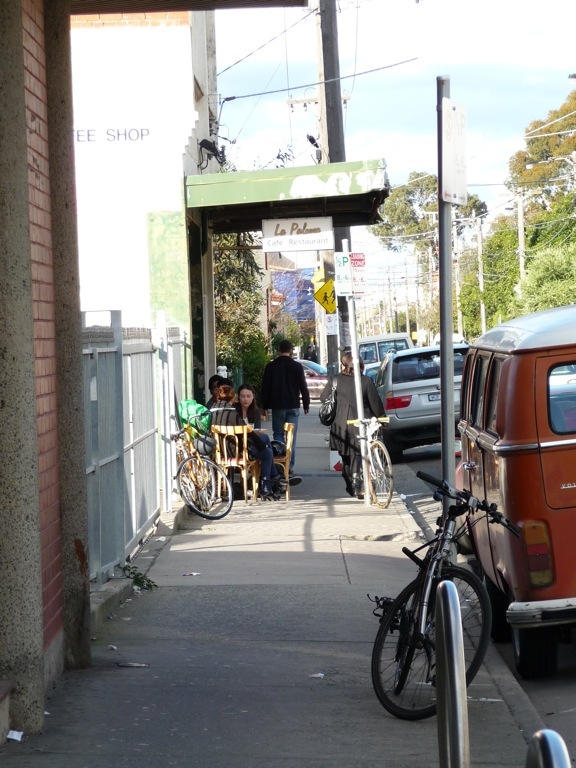 La Paloma is located on Albert Street just off Sydney Road, Brunswick , it is not the sort of place you would give a second glance to unless you were a local. My favourite thing about La Paloma (apart from the bright red back room and record player) is the lack of options. This might sound strange, but give me a cafe that does all three things on its breakfast menu exceptionally well over a 2 page laminated menu any day. The breakfast choices at LaPaloma are what I call the ‘Ranchers Breakfast’ (baked eggs) for $10, sweet rice porridge with pear for $6 or a tortilla with salad and bread for $6. With these ridiculously low prices, a strong flat white and churro lathered with crème de luche are non-negotiable extras. On this particular Saturday, nothing but the Ranchers Breakfast was going to cut through my red wine induced hangover. 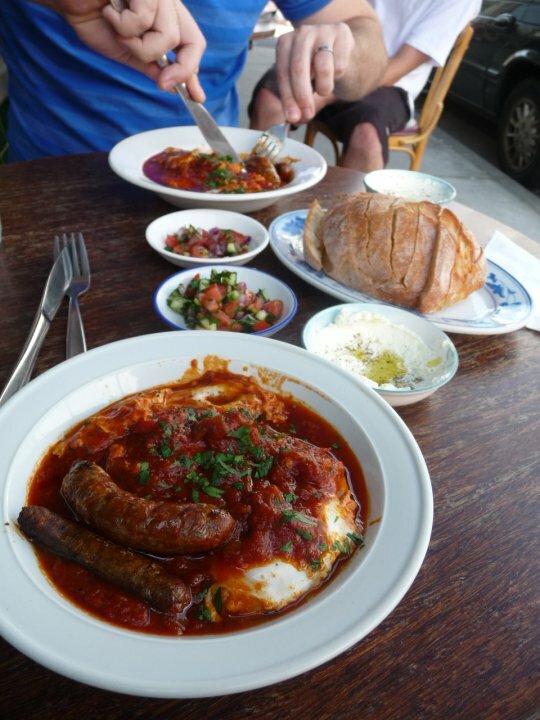 The Ranchers Breakfast consists of two or three eggs baked eggs in a rich tomato sauce, grilled mini beef sausages, with a fresh salsa salad, labna (yoghurt cheese) and fresh bread on the side. The egg yolks are consistently soft and goo-ey and the sharpness of the labna cuts beautifully through the rich tomato sauce. End Result = Ranchers Breakfast 1 / Red Wine Hangover 0. Swing by on a Saturday soon. I will be the one in the red room with the grandma trolley, sitting with the Brooding Architect in black.